Car shopping in the Mclean area? 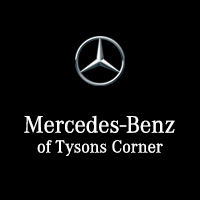 Look no further than the new vehicle inventory at Mercedes-Benz of Tysons Corner. We have a wide variety of models in stock, from the popular Mercedes-Benz GLS 550 SUV to fan favorite AMG® performance models or the new A-Class. Our sales team is standing by to get you behind the wheel of the model that best suits your budget and driving needs, and we always have rotating vehicle specials to make the car-buying process that much less stressful. LOADED WITH VALUE! Comes equipped with: 64-Color Interior Ambient Lighting, Black Headliner, Black, Mb-Tex Upholstery, Blind Spot Assist, Cosmos Black Metallic, Heated Front Seats, Heated Steering Wheel, Moe Tires (Extended Mobility), Rear Spoiler, Wheels: 18 5-Spoke with Black Accents. This Mercedes-Benz A-Class also includes Air Conditioning, Clock, Climate Control, Tachometer, Dual Zone Climate Control, Cruise Control, Power Steering, Telescoping Steering Wheel, Steering Radio Controls, Sunroof, Power Mirrors, Moonroof, Lthr. Steering Wheel, Driver Airbag, Passenger Airbag, Intermittent Wipers, Side Airbags, Rear Defogger, Security System, AM/FM, Touch Screen, Satellite Radio, Navigation System, Center Arm Rest, Vanity Mirrors, Heated Mirrors, Child Proof Door Locks, Daytime Running Lights, Reverse Camera, Side Curtain Airbags, Roll Stability Control, Tire Pressure Monitor, Carpeted Floor Mats, Overhead Console, HD Radio. Air Conditioning, Climate Control, Dual Zone Climate Control, Cruise Control, Power Steering, Power Mirrors, Leather Steering Wheel, Clock, Tachometer, Telescoping Steering Wheel, Steering Wheel Radio Controls, Sunroof, Moonroof, Driver Airbag, Passenger Airbag, Side Airbags, Security System, Rear Defogger, Intermittent Wipers, AM/FM, Carpeted Floor Mats, Center Arm Rest, Child Proof Door Locks, Daytime Running Lights, Heated Mirrors, Navigation System, Overhead Console, Reverse Camera, Roll Stability Control, Side Curtain Airbags, Tire Pressure Monitor, Vanity Mirrors -LOADED WITH VALUE! Comes equipped with: 64-Color Interior Ambient Lighting, Black Headliner, Black, Mb-Tex Upholstery, Blind Spot Assist, Cosmos Black Metallic, Heated Front Seats, Heated Steering Wheel, Moe Tires (Extended Mobility), Rear Spoiler, Wheels: 18 5-Spoke with Black Accents. LOADED WITH VALUE! Comes equipped with: 64-Color Interior Ambient Lighting, Black Headliner, Blind Spot Assist, Heated Front Seats, Macchiato Beige, Mb-Tex Upholstery, Moe Tires (Extended Mobility), Natural Grain Brown Walnut Wood Trim, Polar White, Premium Package, Wheels: 18 5-Spoke with Black Accents. This Mercedes-Benz A-Class also includes Air Conditioning, Clock, Climate Control, Tachometer, Dual Zone Climate Control, Cruise Control, Power Steering, Telescoping Steering Wheel, Steering Radio Controls, Sunroof, Power Mirrors, Moonroof, Lthr. Steering Wheel, Driver Airbag, Passenger Airbag, Intermittent Wipers, Side Airbags, Rear Defogger, Security System, AM/FM, Touch Screen, Satellite Radio, Navigation System, Center Arm Rest, Vanity Mirrors, Heated Mirrors, Child Proof Door Locks, Daytime Running Lights, Reverse Camera, Side Curtain Airbags, Roll Stability Control, Tire Pressure Monitor, Carpeted Floor Mats, Overhead Console, HD Radio. Air Conditioning, Climate Control, Dual Zone Climate Control, Cruise Control, Power Steering, Power Mirrors, Leather Steering Wheel, Clock, Tachometer, Telescoping Steering Wheel, Steering Wheel Radio Controls, Sunroof, Moonroof, Driver Airbag, Passenger Airbag, Side Airbags, Security System, Rear Defogger, Intermittent Wipers, AM/FM, Carpeted Floor Mats, Center Arm Rest, Child Proof Door Locks, Daytime Running Lights, Heated Mirrors, Navigation System, Overhead Console, Reverse Camera, Roll Stability Control, Side Curtain Airbags, Tire Pressure Monitor, Vanity Mirrors -LOADED WITH VALUE! Comes equipped with: 64-Color Interior Ambient Lighting, Black Headliner, Blind Spot Assist, Heated Front Seats, Macchiato Beige, Mb-Tex Upholstery, Moe Tires (Extended Mobility), Natural Grain Brown Walnut Wood Trim, Polar White, Premium Package, Wheels: 18 5-Spoke with Black Accents. Comes equipped with: Aluminum Trim, Black Headliner, Black, Mb-Tex Upholstery, Night Black, Premium Package, Smartphone Integration, Wheel Locks, Wheels: 18 Twin 5-Spoke Alloy. LOADED WITH VALUE! Comes equipped with: 64-Color Interior Ambient Lighting, Black Headliner, Blind Spot Assist, Garage Door Opener, Heated Front Seats, Heated Steering Wheel, Macchiato Beige, Mb-Tex Upholstery, Moe Tires (Extended Mobility), Natural Grain Brown Walnut Wood Trim, Polar White, Premium Package, Rear Spoiler, Wheels: 18 5-Spoke with Black Accents. This Mercedes-Benz A-Class also includes Air Conditioning, Clock, Climate Control, Tachometer, Dual Zone Climate Control, Cruise Control, Power Steering, Telescoping Steering Wheel, Steering Radio Controls, Sunroof, Power Mirrors, Moonroof, Lthr. Steering Wheel, Driver Airbag, Passenger Airbag, Intermittent Wipers, Side Airbags, Rear Defogger, Security System, AM/FM, Touch Screen, Satellite Radio, Navigation System, Center Arm Rest, Vanity Mirrors, Heated Mirrors, Child Proof Door Locks, Daytime Running Lights, Reverse Camera, Side Curtain Airbags, Roll Stability Control, Tire Pressure Monitor, Carpeted Floor Mats, Overhead Console, HD Radio. Air Conditioning, Climate Control, Dual Zone Climate Control, Cruise Control, Power Steering, Power Mirrors, Leather Steering Wheel, Clock, Tachometer, Telescoping Steering Wheel, Steering Wheel Radio Controls, Sunroof, Moonroof, Driver Airbag, Passenger Airbag, Side Airbags, Security System, Rear Defogger, Intermittent Wipers, AM/FM, Carpeted Floor Mats, Center Arm Rest, Child Proof Door Locks, Daytime Running Lights, Heated Mirrors, Navigation System, Overhead Console, Reverse Camera, Roll Stability Control, Side Curtain Airbags, Tire Pressure Monitor, Vanity Mirrors -LOADED WITH VALUE! Comes equipped with: 64-Color Interior Ambient Lighting, Black Headliner, Blind Spot Assist, Garage Door Opener, Heated Front Seats, Heated Steering Wheel, Macchiato Beige, Mb-Tex Upholstery, Moe Tires (Extended Mobility), Natural Grain Brown Walnut Wood Trim, Polar White, Premium Package, Rear Spoiler, Wheels: 18 5-Spoke with Black Accents. LOADED WITH VALUE! Comes equipped with: Black Headliner, Black, Mb-Tex Upholstery, Compass, Convenience Package, Night Black, Panorama Sunroof, Premium Package, Sail Pattern Trim, Smartphone Integration, Wheels: 18 Twin 5-Spoke Alloy. This Mercedes-Benz GLA also includes Air Conditioning, Clock, Climate Control, Tachometer, Dual Zone Climate Control, Cruise Control, Privacy Glass/Tinted Windows, Power Steering, Telescoping Steering Wheel, Steering Radio Controls, Power Mirrors, Lthr. Steering Wheel, Driver Airbag, Fog Lights, Passenger Airbag, Intermittent Wipers, Side Airbags, Rear Defogger, Security System, AM/FM, Anti-Theft, Bluetooth®, Rear Spoiler, Rear Wipers, Center Arm Rest, Remote Trunk Lid, Vanity Mirrors, Heated Mirrors, Rear Fog Lamps, Child Proof Door Locks, Daytime Running Lights, Reverse Camera, Side Curtain Airbags, Roll Stability Control, Power Lift Gate, Tire Pressure Monitor, Carpeted Floor Mats, Overhead Console, HD Radio. Air Conditioning, Climate Control, Dual Zone Climate Control, Cruise Control, Tinted Windows, Power Steering, Power Mirrors, Leather Steering Wheel, Clock, Tachometer, Telescoping Steering Wheel, Steering Wheel Radio Controls, Driver Airbag, Passenger Airbag, Side Airbags, Security System, Rear Defogger, Fog Lights, Intermittent Wipers, AM/FM, Anti-Theft, Bluetooth®, Carpeted Floor Mats, Center Arm Rest, Child Proof Door Locks, Daytime Running Lights, Heated Mirrors, Overhead Console, Power Lift Gate, Rear Fog Lamps, Rear Spoiler, Rear Spoiler, Rear Wipers, Remote Trunk Lid, Reverse Camera, Roll Stability Control, Side Curtain Airbags, Tire Pressure Monitor, Vanity Mirrors -LOADED WITH VALUE! Comes equipped with: Black Headliner, Black, Mb-Tex Upholstery, Compass, Convenience Package, Jupiter Red, Panorama Sunroof, Premium Package, Sail Pattern Trim, Smartphone Integration, Wheels: 18 Twin 5-Spoke Alloy. LOADED WITH VALUE! Comes equipped with: Black Headliner, Black, Mb-Tex Upholstery, Compass, Convenience Package, Panorama Sunroof, Polar White, Premium Package, Sail Pattern Trim, Smartphone Integration, Wheel Locks, Wheels: 18 Twin 5-Spoke Alloy. This Mercedes-Benz GLA also includes Air Conditioning, Clock, Climate Control, Tachometer, Dual Zone Climate Control, Cruise Control, Privacy Glass/Tinted Windows, Power Steering, Telescoping Steering Wheel, Steering Radio Controls, Power Mirrors, Lthr. Steering Wheel, Driver Airbag, Fog Lights, Passenger Airbag, Intermittent Wipers, Side Airbags, Rear Defogger, Security System, AM/FM, Anti-Theft, Bluetooth®, Rear Spoiler, Rear Wipers, Center Arm Rest, Remote Trunk Lid, Vanity Mirrors, Heated Mirrors, Rear Fog Lamps, Child Proof Door Locks, Daytime Running Lights, Reverse Camera, Side Curtain Airbags, Roll Stability Control, Power Lift Gate, Tire Pressure Monitor, Carpeted Floor Mats, Overhead Console, HD Radio. Air Conditioning, Climate Control, Dual Zone Climate Control, Cruise Control, Tinted Windows, Power Steering, Power Mirrors, Leather Steering Wheel, Clock, Tachometer, Telescoping Steering Wheel, Steering Wheel Radio Controls, Driver Airbag, Passenger Airbag, Side Airbags, Security System, Rear Defogger, Fog Lights, Intermittent Wipers, AM/FM, Anti-Theft, Bluetooth®, Carpeted Floor Mats, Center Arm Rest, Child Proof Door Locks, Daytime Running Lights, Heated Mirrors, Overhead Console, Power Lift Gate, Rear Fog Lamps, Rear Spoiler, Rear Spoiler, Rear Wipers, Remote Trunk Lid, Reverse Camera, Roll Stability Control, Side Curtain Airbags, Tire Pressure Monitor, Vanity Mirrors -LOADED WITH VALUE! Comes equipped with: 12-Color Interior Ambient Lighting, Aluminum Trim, Black Headliner, Black, Mb-Tex Leatherette Seat Trim, Led Headlamps, Panorama Sunroof, Polar White, Premium Package, Smartphone Integration, Wheels: 18 5-Spoke Multi-Spoke. Comes equipped with: Black Headliner, Black, Mb-Tex Leatherette Seat Trim, Led Headlamps, Matte Black Ash Wood Trim, Night Black, Panorama Sunroof, Premium Package, Smartphone Integration, Wheels: 18 5-Spoke Alloy. Comes equipped with: Ambient Lighting (12 Colors), Black Headliner, Black, Mb-Tex Upholstery, Compass, Convenience Package, Led Logo Projectors (Set Of 2), Night Black, Panorama Sunroof, Premium Package, Sail Pattern Trim, Smartphone Integration, Wheels: 18 Twin 5-Spoke Alloy. LOADED WITH VALUE! Comes equipped with: Beige Roof Liner, Compass, Convenience Package, Panorama Sunroof, Polar White, Premium Package, Sahara Beige, Mb-Tex Upholstery, Satin Brown Poplar Wood Trim, Smartphone Integration, Wheel Locks, Wheels: 18 Twin 5-Spoke Alloy. This Mercedes-Benz GLA also includes Air Conditioning, Clock, Climate Control, Tachometer, Dual Zone Climate Control, Cruise Control, Privacy Glass/Tinted Windows, Power Steering, Telescoping Steering Wheel, Steering Radio Controls, Power Mirrors, Lthr. Steering Wheel, Driver Airbag, Fog Lights, Passenger Airbag, Intermittent Wipers, Side Airbags, Rear Defogger, Security System, AM/FM, Anti-Theft, Bluetooth®, Rear Spoiler, Rear Wipers, Center Arm Rest, Remote Trunk Lid, Vanity Mirrors, Heated Mirrors, Rear Fog Lamps, Child Proof Door Locks, Daytime Running Lights, Reverse Camera, Side Curtain Airbags, Roll Stability Control, Power Lift Gate, Tire Pressure Monitor, Carpeted Floor Mats, Overhead Console, HD Radio. Air Conditioning, Climate Control, Dual Zone Climate Control, Cruise Control, Tinted Windows, Power Steering, Power Mirrors, Leather Steering Wheel, Clock, Tachometer, Telescoping Steering Wheel, Steering Wheel Radio Controls, Driver Airbag, Passenger Airbag, Side Airbags, Security System, Rear Defogger, Fog Lights, Intermittent Wipers, AM/FM, Anti-Theft, Bluetooth®, Carpeted Floor Mats, Center Arm Rest, Child Proof Door Locks, Daytime Running Lights, Heated Mirrors, Overhead Console, Power Lift Gate, Rear Fog Lamps, Rear Spoiler, Rear Spoiler, Rear Wipers, Remote Trunk Lid, Reverse Camera, Roll Stability Control, Side Curtain Airbags, Tire Pressure Monitor, Vanity Mirrors -LOADED WITH VALUE! Comes equipped with: Beige Roof Liner, Compass, Convenience Package, Panorama Sunroof, Polar White, Premium Package, Sahara Beige, Mb-Tex Upholstery, Satin Brown Poplar Wood Trim, Smartphone Integration, Wheel Locks, Wheels: 18 Twin 5-Spoke Alloy. Comes equipped with: 64-Color Interior Ambient Lighting, Black Headliner, Black, Mb-Tex Upholstery, Blind Spot Assist, Cosmos Black Metallic, Garage Door Opener, Heated Front Seats, Inductive Wireless Charging with Nfc Pairing, Multimedia Package, Premium Package, Siriusxm Radio. LOADED WITH VALUE! Comes equipped with: 64-Color Interior Ambient Lighting, Aluminum Trim with Lines, Black Headliner, Black, Mb-Tex Upholstery, Blind Spot Assist, Cosmos Black Metallic, Garage Door Opener, Heated Front Seats, Inductive Wireless Charging with Nfc Pairing, Moe Tires (Extended Mobility), Multimedia Package, Premium Package, Siriusxm Radio. This Mercedes-Benz A-Class also includes Air Conditioning, Clock, Climate Control, Tachometer, Dual Zone Climate Control, Cruise Control, Power Steering, Telescoping Steering Wheel, Steering Radio Controls, Sunroof, Power Mirrors, Moonroof, Lthr. Steering Wheel, Driver Airbag, Passenger Airbag, Intermittent Wipers, Side Airbags, Rear Defogger, Security System, AM/FM, Touch Screen, Satellite Radio, Navigation System, Center Arm Rest, Vanity Mirrors, Heated Mirrors, Child Proof Door Locks, Daytime Running Lights, Reverse Camera, Side Curtain Airbags, Roll Stability Control, Tire Pressure Monitor, Carpeted Floor Mats, Overhead Console, HD Radio. Air Conditioning, Climate Control, Dual Zone Climate Control, Cruise Control, Power Steering, Power Mirrors, Leather Steering Wheel, Clock, Tachometer, Telescoping Steering Wheel, Steering Wheel Radio Controls, Sunroof, Moonroof, Driver Airbag, Passenger Airbag, Side Airbags, Security System, Rear Defogger, Intermittent Wipers, AM/FM, Carpeted Floor Mats, Center Arm Rest, Child Proof Door Locks, Daytime Running Lights, Heated Mirrors, Navigation System, Overhead Console, Reverse Camera, Roll Stability Control, Side Curtain Airbags, Tire Pressure Monitor, Vanity Mirrors -LOADED WITH VALUE! Comes equipped with: Black Headliner, Burl Walnut Wood Trim, Convenience Package, Led Headlamps, Night Black, Panorama Sunroof, Premium Package, Sahara Beige, Mb-Tex Leatherette Seat Trim, Smartphone Integration, Wheels: 18 5-Spoke Alloy. Comes equipped with: 12-Color Interior Ambient Lighting, Black Headliner, Black, Mb-Tex Leatherette Seat Trim, Convenience Package, Led Headlamps, Matte Black Ash Wood Trim, Panorama Sunroof, Polar White, Premium Package, Smartphone Integration, Wheels: 18 5-Spoke Multi-Spoke. LOADED WITH VALUE! Comes equipped with: Ambient Lighting (12 Colors), Beige Roof Liner, Compass, Convenience Package, Full Led Headlamps, Panorama Sunroof, Polar White, Premium Package, Sahara Beige, Mb-Tex Upholstery, Satin Brown Poplar Wood Trim, Smartphone Integration, Wheels: 18 Twin 5-Spoke Alloy. This Mercedes-Benz GLA also includes Air Conditioning, Clock, Climate Control, Tachometer, Dual Zone Climate Control, Cruise Control, Privacy Glass/Tinted Windows, Power Steering, Telescoping Steering Wheel, Steering Radio Controls, Power Mirrors, Lthr. Steering Wheel, Driver Airbag, Fog Lights, Passenger Airbag, Intermittent Wipers, Side Airbags, Rear Defogger, Security System, AM/FM, Anti-Theft, Bluetooth®, Rear Spoiler, Rear Wipers, Center Arm Rest, Remote Trunk Lid, Vanity Mirrors, Heated Mirrors, Rear Fog Lamps, Child Proof Door Locks, Daytime Running Lights, Reverse Camera, Side Curtain Airbags, Roll Stability Control, Power Lift Gate, Tire Pressure Monitor, Carpeted Floor Mats, Overhead Console, HD Radio. Air Conditioning, Climate Control, Dual Zone Climate Control, Cruise Control, Tinted Windows, Power Steering, Power Mirrors, Leather Steering Wheel, Clock, Tachometer, Telescoping Steering Wheel, Steering Wheel Radio Controls, Driver Airbag, Passenger Airbag, Side Airbags, Security System, Rear Defogger, Fog Lights, Intermittent Wipers, AM/FM, Anti-Theft, Bluetooth®, Carpeted Floor Mats, Center Arm Rest, Child Proof Door Locks, Daytime Running Lights, Heated Mirrors, Overhead Console, Power Lift Gate, Rear Fog Lamps, Rear Spoiler, Rear Spoiler, Rear Wipers, Remote Trunk Lid, Reverse Camera, Roll Stability Control, Side Curtain Airbags, Tire Pressure Monitor, Vanity Mirrors -LOADED WITH VALUE! LOADED WITH VALUE! Comes equipped with: Ambient Lighting (12 Colors), Black Ash Matte Wood Trim, Black Headliner, Black, Mb-Tex Upholstery, Compass, Convenience Package, Full Led Headlamps, Night Black, Panorama Sunroof, Premium Package, Smartphone Integration, Wheels: 18 Twin 5-Spoke Alloy. This Mercedes-Benz GLA also includes Air Conditioning, Clock, Climate Control, Tachometer, Dual Zone Climate Control, Cruise Control, Privacy Glass/Tinted Windows, Power Steering, Telescoping Steering Wheel, Steering Radio Controls, Power Mirrors, Lthr. Steering Wheel, Driver Airbag, Fog Lights, Passenger Airbag, Intermittent Wipers, Side Airbags, Rear Defogger, Security System, AM/FM, Anti-Theft, Bluetooth®, Rear Spoiler, Rear Wipers, Center Arm Rest, Remote Trunk Lid, Vanity Mirrors, Heated Mirrors, Rear Fog Lamps, Child Proof Door Locks, Daytime Running Lights, Reverse Camera, Side Curtain Airbags, Roll Stability Control, Power Lift Gate, Tire Pressure Monitor, Carpeted Floor Mats, Overhead Console, HD Radio. Air Conditioning, Climate Control, Dual Zone Climate Control, Cruise Control, Tinted Windows, Power Steering, Power Mirrors, Leather Steering Wheel, Clock, Tachometer, Telescoping Steering Wheel, Steering Wheel Radio Controls, Driver Airbag, Passenger Airbag, Side Airbags, Security System, Rear Defogger, Fog Lights, Intermittent Wipers, AM/FM, Anti-Theft, Bluetooth®, Carpeted Floor Mats, Center Arm Rest, Child Proof Door Locks, Daytime Running Lights, Heated Mirrors, Overhead Console, Power Lift Gate, Rear Fog Lamps, Rear Spoiler, Rear Spoiler, Rear Wipers, Remote Trunk Lid, Reverse Camera, Roll Stability Control, Side Curtain Airbags, Tire Pressure Monitor, Vanity Mirrors -LOADED WITH VALUE! When you’re ready to take your Great Falls commute to the next level with technologies like Mercedes-Benz mbrace®, stop by Mercedes-Benz of Tysons Corner to pursue the Mercedes-Benz models for sale in Vienna, VA! Whether you’re looking for a Mercedes-Benz Convertible or SUV option, we have something that suits your needs. Contact us today to find out more about specials like luxury SUV lease and finance offers, as well as learn more about luxury SUV models.